"Lotus F1 Team Trinkflasche/ drinking bottle"
Lotus F1 Team Trinkflasche aus Alu in schwarz mit Lotus Logo in Gold. Praktisch für unterwegs, auslaufsicherer Verschluß, Inhalt 0,75 l.
Keep hydrated at the track or at the gym with this stylish Lotus F1 Team drink bottle. 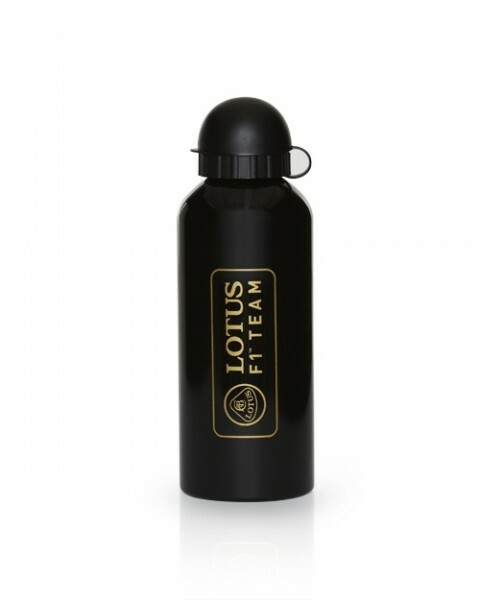 This Lotus F1 Team drink bottle has a stylish black gloss finish and features the F1 gold Lotus team logo across the front. The drink bottle has a moulded cap and a leak-proof closure, capacity 0.75 l.
Weiterführende Links zu "Lotus F1 Team Trinkflasche/ drinking bottle"